So… you would like to start yoga, but unsure what to expect? We wrote this blog for you! Attending your first yoga class can feel daunting. There are so many styles of yoga whether it be Hot Flow, Yin, Core, Vinyasa, Ashtanga, Restore – it is hard to know which class to choose! My suggestion would be to begin with a course or short workshop to help you ease into your practice gently, surrounded by people who just like you are trying yoga for the first time. This is a fun and playful way to learn as you all commence your yoga journey together. These are my suggestions to help you have a rewarding first yoga experience. Start with a beginner course or Workshop. A yoga beginner course means your peers are in the same situation as you – everyone is new to yoga! The teacher can then tailor the class to your needs as a beginner and prepare you to attend a general Drop In class. Ask how experienced your teacher is. Studios often have the least experienced teachers instructing beginners classes. Look out for courses with Yoga Australia Senior Teachers – these teachers have been teaching for over a decade! Be sure to email or call the school you plan on visiting to have a chat about what you are looking for in a yoga class. Sometimes people have a negative first experience of yoga simply because they attend the wrong type of class. It might be too meditative for you, or you could be healing from an injury and the class is too strong. You can avert this situation by chatting to the studio first. Wear comfortable clothes to yoga – they don’t need to be fancy – but often a top which is fitted is best. You can wear a baggy t-shirt or singlet on top, but often you go upside down in some way at yoga and not everyone likes to show their belly. Yoga is also done barefoot. Remember, it is always YOUR body, and your practice. If something doesn’t feel right to you then don’t do it. Sometimes yoga teachers use hands on adjustments, which can feel wonderful, or can be injurious depending on the teacher. Try choose a studio that uses consent cards for physical assists. Some days you might not feel like being touched during class, or you might just want your personal space. Consent cards are an easy way to convey this and demonstrate that the studio is focused on student empowerment. Understand the tradition in which you starting yoga practice. Many schools of Modern Yoga now sadly have abuse scandals (Ashtanga and Bikram for example). Ask your studio owner how this has changed the way in which they teach. If they don’t have an insightful answer, or if their answer seems to sweep the issue under the carpet and minimise the damage that has occurred, think carefully about practicing that style of yoga at the studio. What was your experience like? If you had a great time let the studio know! Yoga teachers don’t get much feedback form students so that can be lovely to hear of your positive experience. Most yoga studios are small businesses so reviewing them on Facebook and Google can really help. If you didn’t have a great time, let the studio know! A good studio will want to improve their service and will most likely encourage you to try another class or teacher at no cost. Always remember this is your journey. 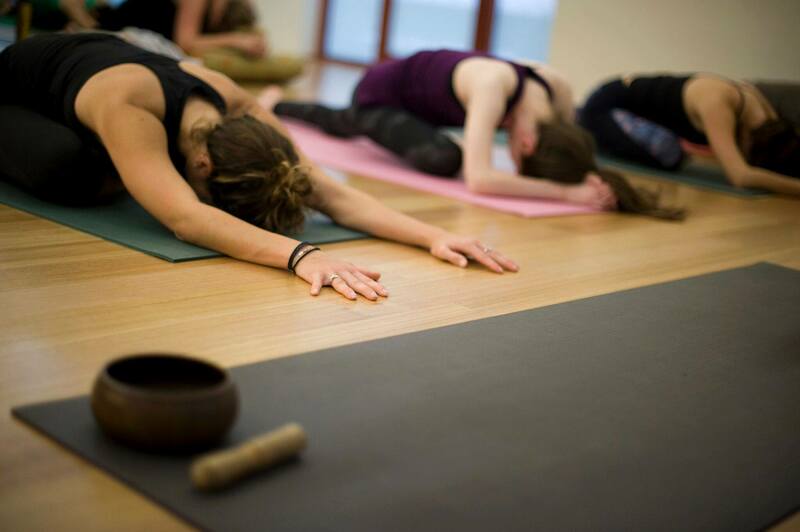 The Yoga tradition is vast, and the reasons we practice yoga are diverse. Some people enjoy a physical practice to strengthen and stabilise, others use yoga as a way to deal with the stressors of life, and for some yoga is a deeply spiritual practice. Over time each of us discover what yoga is to us personally. Enjoy your journey! Wherever you may be we would love to hear about your first class. If you are in Perth, find out more about our Beginners programs HERE all taught by our most experienced teachers.